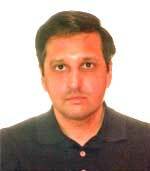 Dr. Sanjay Badri-Maharaj is an independent defence analyst and attorney-at-law based in Trinidad and Tobago. He holds a PhD on India's nuclear weapons programme and an MA from the Department of War Studies, King's College London. He has served as a consultant to the Trinidad and Tobago Ministry of National Security and to its Ministry of the Attorney-General. He has also served as a freelance journalist and correspondent for various publications in the defence sphere, a teaching assistant at the Department of War Studies, King's College London, researcher at the University of the West Indies and as a lecturer in naval history, strategic studies and threat perception and critical analysis for the Trinidad and Tobago Coast Guard Officer Training Program at the University of Trinidad and Tobago.